You are here: Home / Family / DIY Craft / 25 Creative Egg Decorating Ideas! 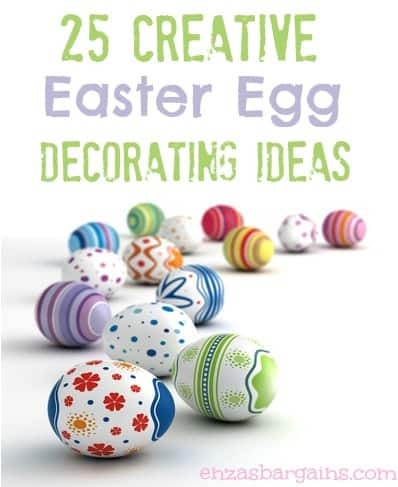 25 Creative Egg Decorating Ideas that are FUN and creative! I went ahead and pinned some of MY favorite ones listed below on my Easter Board on Pinterest! Be sure to JOIN my Pinterest followers to get GREAT creative ideas and some bargains sprinkled in the mix! ENJOY! Before checking out the images don’t forget to FOLLOW me on Pinterest!Follow Enza! LOVE these ideas: REPIN this LIST by clicking HERE and selecting REPIN!